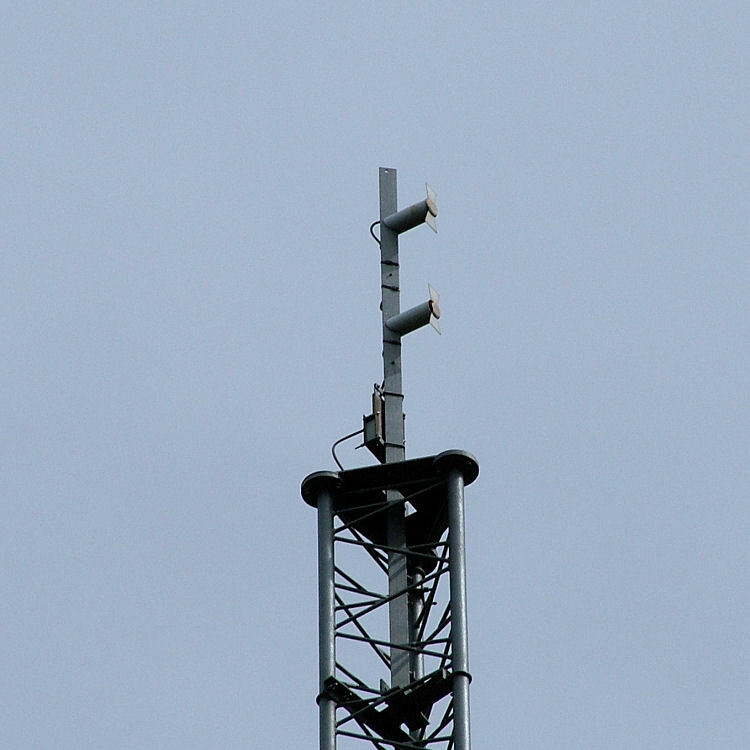 The Matlock UHF TX on cliff tops at High Tor in Matlock, Derbyshire. 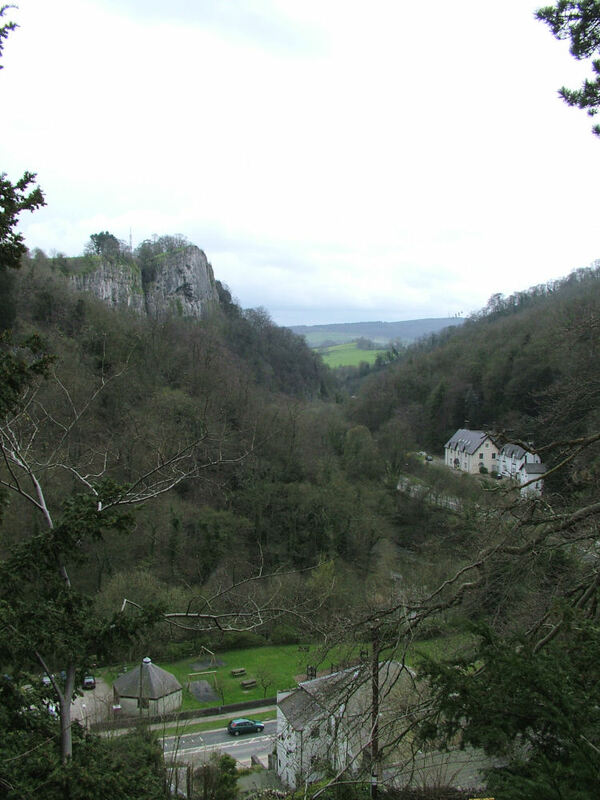 High Tor is a 390ft high limestone cliff that rises sheer from the river Derwent's eastern bank, and is a popular climbing cliff. 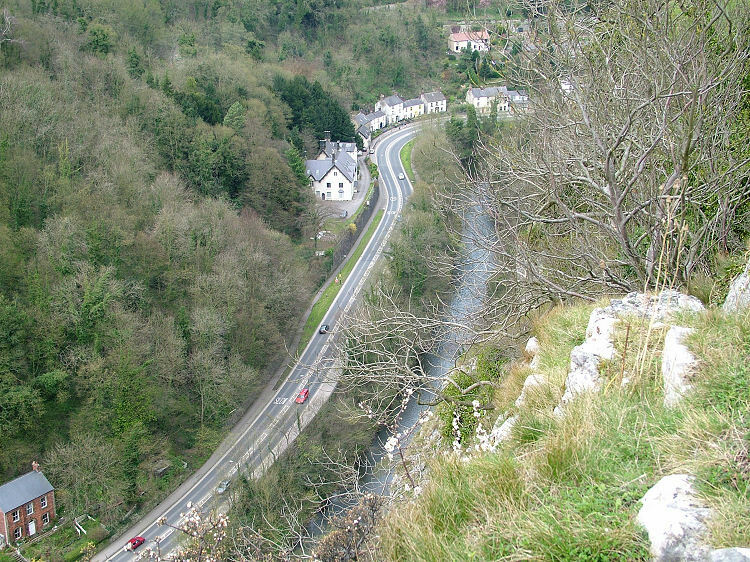 The tower is about sixty feet from the cliff edge, from where I took picture 7 looking down into the valley. 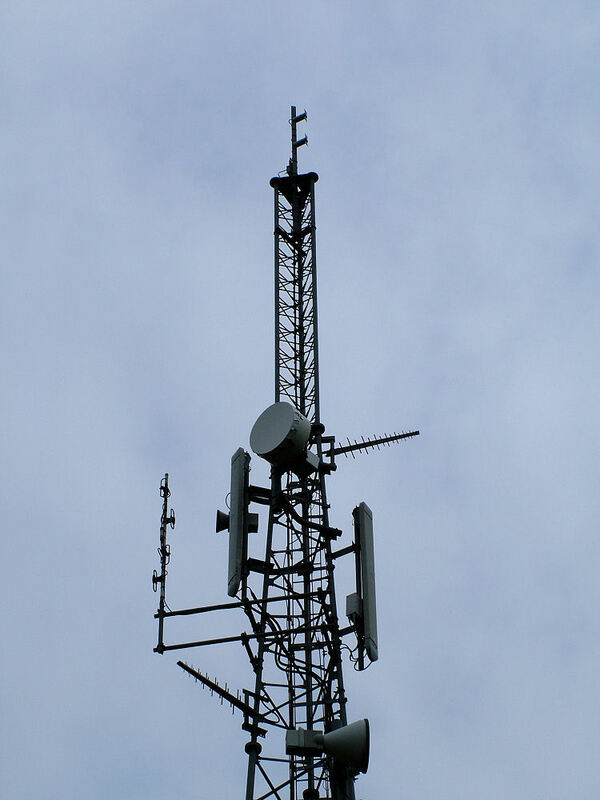 This is listed as a low power relay of Waltham, providing coverage in this very hilly and picturesque area. It proved a bit of a challenge to photograph from the distance, and I hope you can even make out the mast in picture 2! 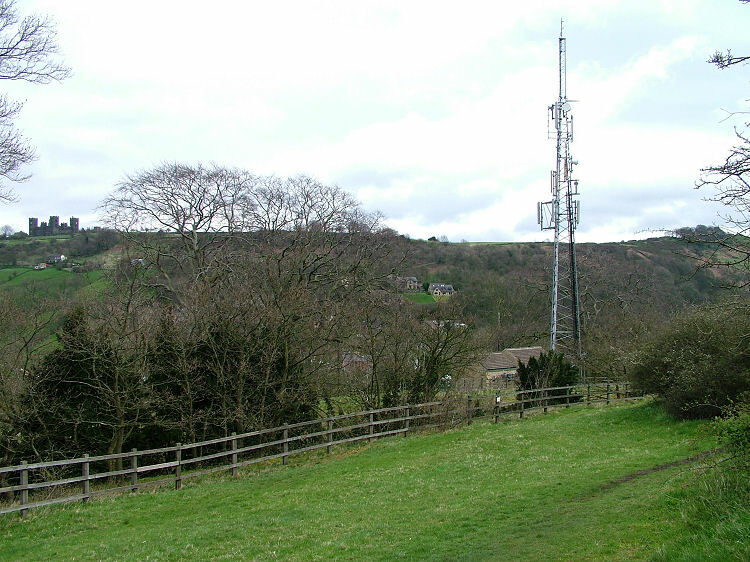 There are two RX yagis, and, interestingly, Matlock appears to be a relay of a relay, judging from the vertically polarized one which points NW towards Stanton Moor, some five miles distant. The higher horizontally polarized RX yagi actually appears to be pointing to Sutton Coldfield - definitely not Waltham. 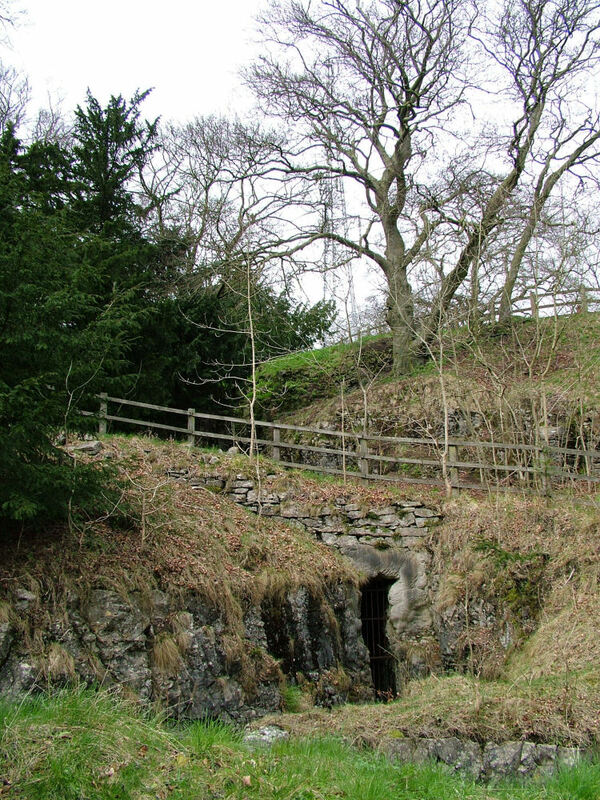 The mast is located some 700 ft asl, but is considerably lower than the surrounding hills. I doubt Waltham can be received directly, hence this arrangement. It's likely that the Sutton Coldfield log is a legacy from the pre DSO analogue days, probably providing a West Midlands programme feed for the BBC channels. 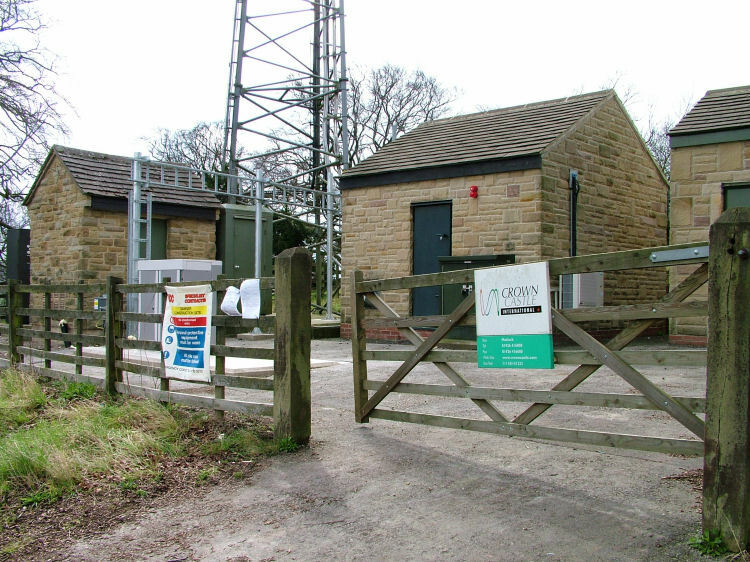 Update June 2013: Nigel Goodwin has been in touch and confirms that following the decision to change the editorial region for this relay (for what he describes as "political" reasons) it was found that only Stanton Moor provided the necessary incoming signal - reception from Waltham was impossible. Stanton Moor and Bolehill were similarly moved to East Midlands, and this explains the unusual situation where their channels were interleaved with those of Waltham (now their parent station); in the original plan their channel allocations were based on Sutton Coldfield providing their feeds. The area surrounding the mast is quite popular with tourists and you are free to walk here, but you need to be very careful where you step, and not just because of the cliff edge. 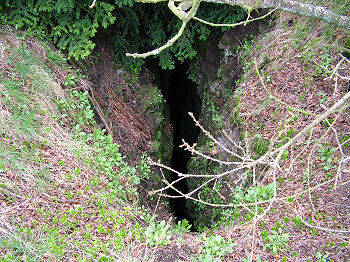 There are chasms in the ground - huge cracks in the limestone roughly three feet wide - that are so deep I couldn't see the bottom! Fall down one of these and you are dead. (The cliff is quite a popular local suicide spot too).